A look at celebs and their fight with cancer. World Cancer Day is celebrated every year on February 4 to raise awareness about the disease and to appreciate people who bravely fought or are battling against it. Over the time, many Bollywood celebs suffered Cancer and their stories have been inspiring for us. 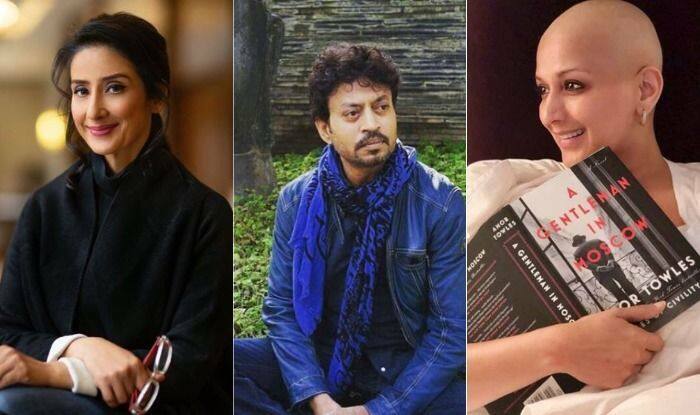 From Rakesh Roshan, Sonali Bendre to Irrfan Khan, a look at the list of stars who have carried the baggage of this disease. A few days ago, Hrithik Roshan informed that his father Rakesh Roshan has been diagnosed with early stage of squamous cell carcinoma which is a type of throat cancer. He also stated that his surgery went well and he is recovering. The actress was undergoing the treatment of Metastatic Cancer in New York. Her social media posts are inspiring and she has set an example for all those battling this life-threatening disease. Sonali is now back to work after a sabbatical. She was diagnosed with ovarian cancer in 2012. The actress fought bravely like a true hero. Manisha was declared cancer-free in the year 2015. Later, she featured in Ranbir Kapoor starrer Sanju. She has written about the struggle in her book Healed. She was diagnosed with multiple Myeloma in 2009. The actress stayed away from media during her treatment. However, she opened up about the battle after her recovery. In fact, Lisa supports has supported campaigns raising awareness of the disease.